The White House is sending a clear message to Turkey that it must release American pastor Andrew Brunson to ease the growing tensions between the two countries. A Trump administration official told the Associated Press Thursday that National Security Adviser John Bolton spoke Monday with the Turkish ambassador to the U.S. telling him to release Brunson. The Trump administration has already sanctioned two Turkish leaders over the pastor’s imprisonment. Treasury Secretary Steve Mnuchin said during a cabinet meeting Thursday that the U.S. is prepared to levy more economic sanctions against Turkey if Brunson is not released. Last week, President Trump authorized doubling tariffs on Turkish steel and aluminum which has further strained economic tensions with Turkey. 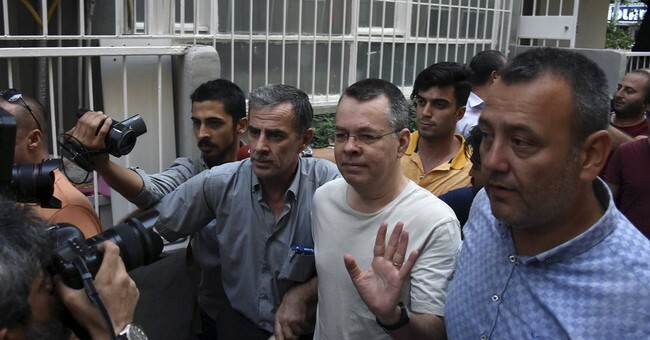 Pastor Brunson, an evangelical from North Carolina, was arrested in Izmir, Turkey in October 2016, and was accused without any evidence of helping terrorist groups and of engaging in espionage. He was recently moved from prison to house arrest.